If you are in the Allentown, Bethlehem & Easton, PA area, pamper your pooch in our award-winning dog grooming salon. 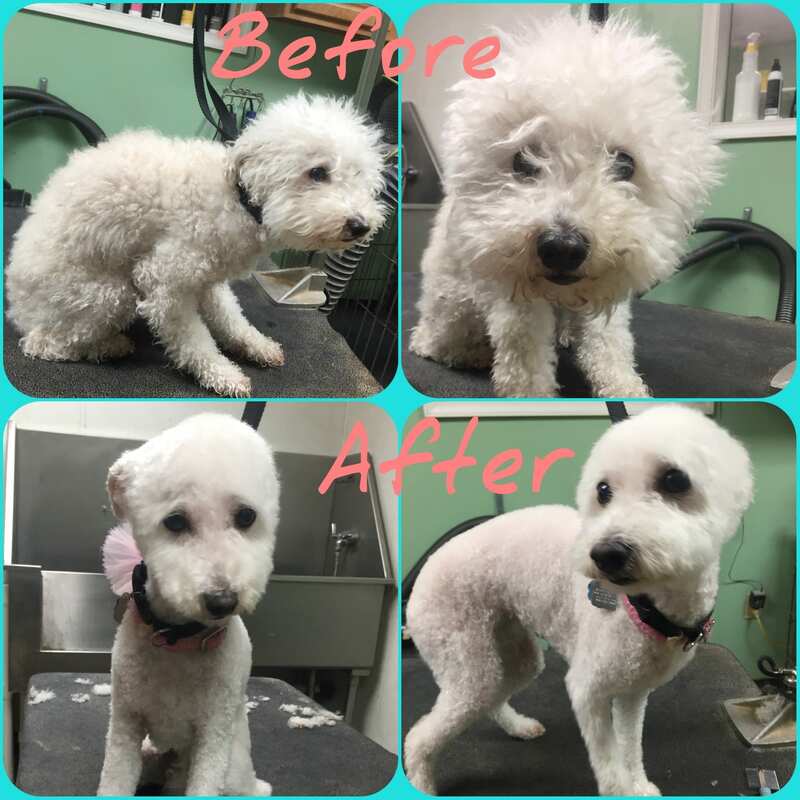 Whether it is a day of relaxation with a bath and cut or the ultimate package of bath, style, nails, ears and massage, your pet will return home looking and feeling like a million bucks. All dogs must be current on their Rabies vaccine. Proof of Rabies must be provided before your pet’s appointment in paper form. We can not accept collar tags as proof of Rabies. 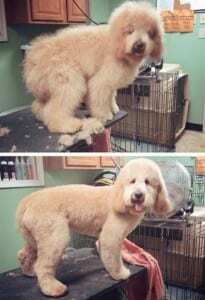 All dogs must be physically healthy enough to withstand their grooming appointment. 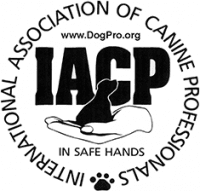 Leader Of the Pack Canine Institute reserves the right to turn away any dog deemed not suitable for grooming. 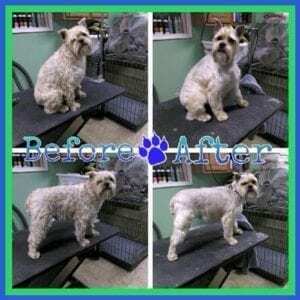 Dogs with matting, mild matting and severe matting may need to be shaved and will require higher costs. 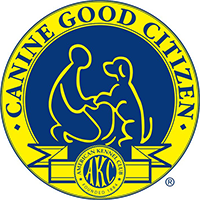 Please call 610-366-8282 to speak with one of our Award Winning Dog Groomers or to set up a time to visit if you are unsure of the condition of your pet’s coat. 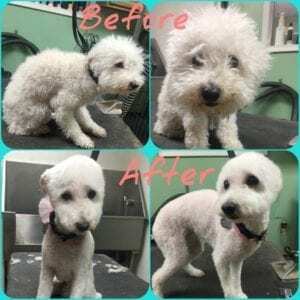 There is a $16 holding fee for any pet not picked up within 1 hour of their grooming being completed. 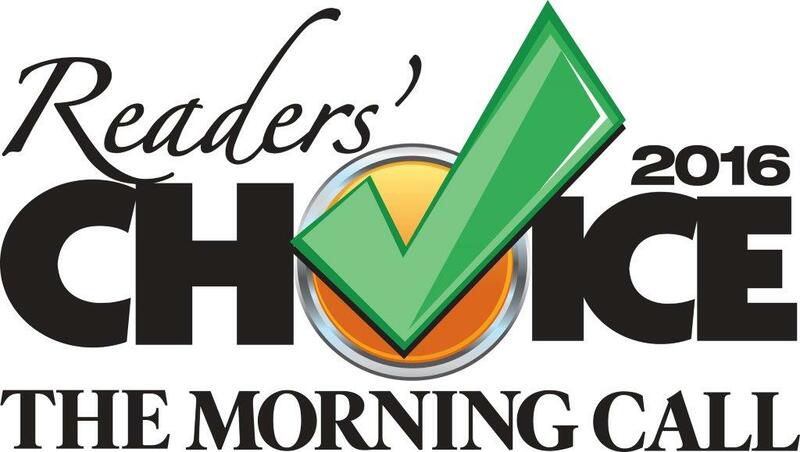 If you think your pet will need to stay beyond 1 hour of the completion time, please let us know at check in. Space is limited and accommodations are not guaranteed. 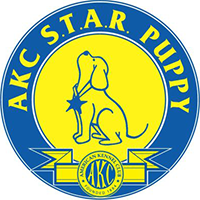 Combination packages available, including full day doggy day care and dog grooming for your pet. 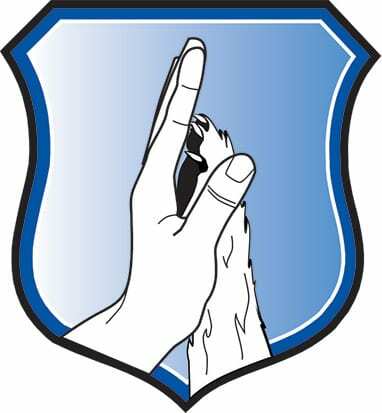 Just drop your pet off for the day, let your pet play, make friends and come home smelling fresh and looking great. We accept all sizes and breeds including X-Large dogs. Leader of the Pack has a $25 cancellation fee for any grooming appointments cancelled within 24 hours of the appointment time. 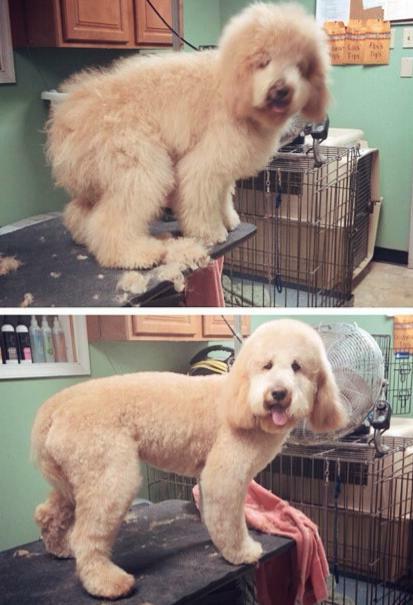 If you need to cancel your pets grooming appointment, please call 610-366-8282. Thank you. 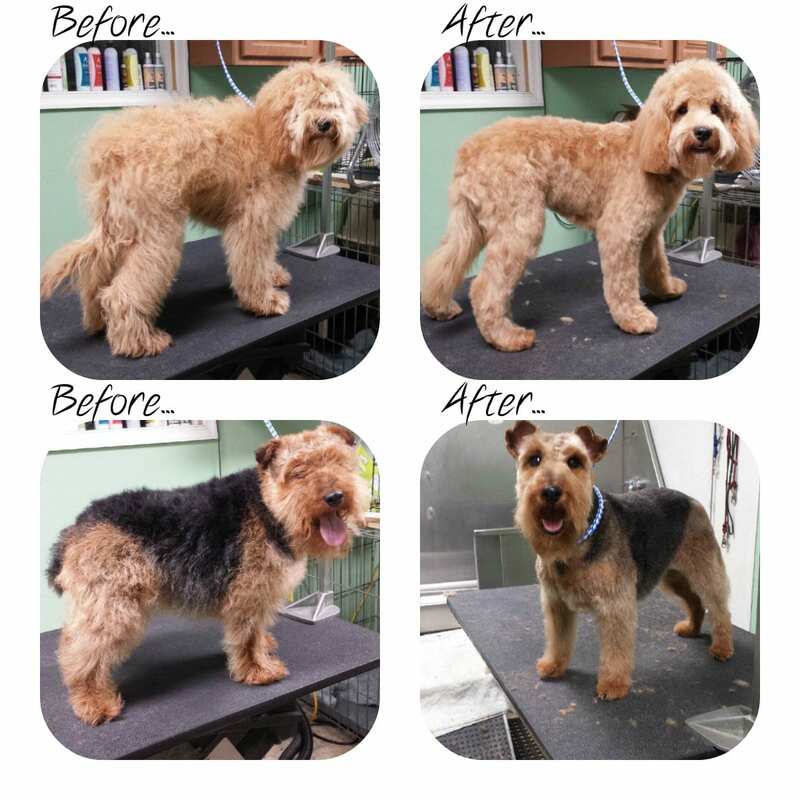 Meet our Groomer: Lois V.
Lois V. is one of LOPCI’s Award Winning, Professional Groomers. Some of our Award Winning Dog Groomers’ work!